Massimo Banzi has started a movement. He invented a computer technology to teach his student artists and designers how to create simple electronics and prototype products in weeks. (not months) The Arduino has helped make electronics tinkering accessible to creatives young and old with a broad range of skill levels. Since Banzi decided to share his innovation as open source, he has introduced a revolution in DIY electronics hacking. This technology has been celebrated by artists and technology professionals. Abstract: Massimo Banzi helped invent the Arduino, a tiny, easy-to-use open-source microcontroller that's inspired thousands of people around the world to make the coolest things they can imagine -- from toys to satellite gear. Because, as he says, "You don't need anyone's permission to make something great." If you're interested in art and wearable tech, you might enjoy checking out the work of Becky Stern from Adafruit. She has a really interesting job at Adafruit helping to review and promote textile materials and wearable Arduinos that can be used in costuming, fashion, or fun personal projects. I discovered her through a recent edition of Make magazine. Don't have an Arduino? 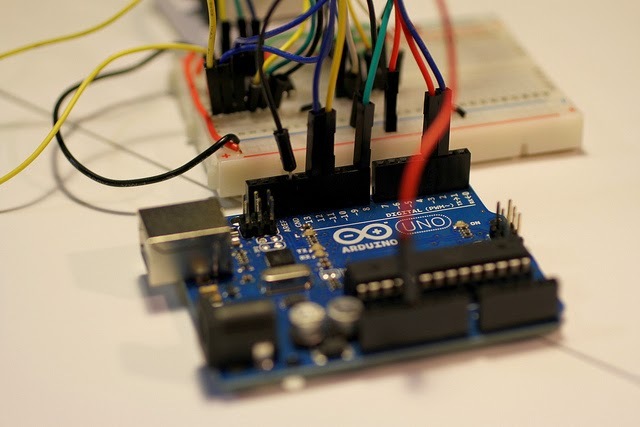 You can start learning the basics of Arduino using 123D Circuits. In this browser based experience, you learn to wire up a bread board, connect your circuit to an Arduino, and write the sketch code to define the behavior of the circuit. In this virtual environment, you have a large library of virtual components to use. If you need your circuit in the real world, you can pay a fee to print your virtual circuit into real circuit board. Pi-Bot: A Great Kit for Learning Arduino Robotics! Using 4 LED’s, write a program to count from binary 0000 to 1111. Write a program to detect a character from USB serial connection. If ‘z’ is encountered, toggle a LED. Write an Android App to move the PiBot forward, backward, left or right using USB serial communication. Write an Web app to move the PiBot forward, backward, left or right using USB serial communication. 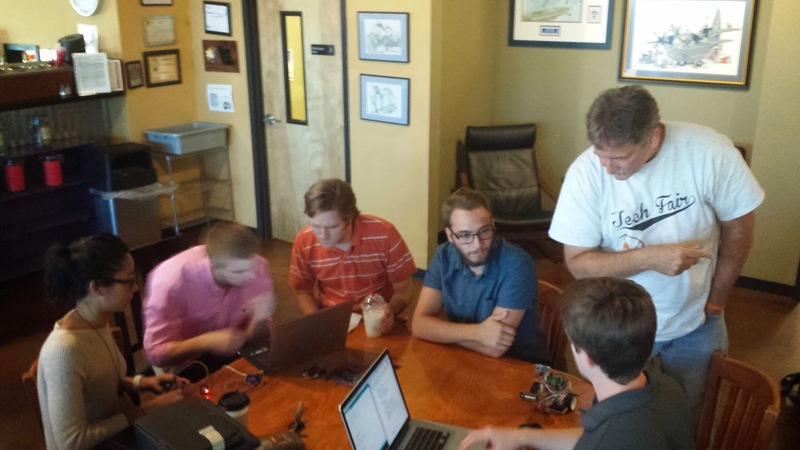 Join Macon Google Developer Group in our Facebook Community.